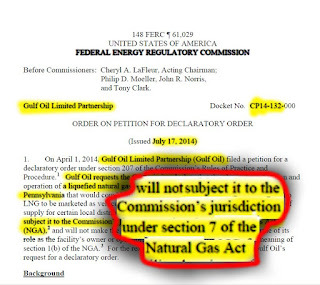 BillHustonBlog: Why won't FERC shut down XNG's PA-to-NY "Pipe to Pipe" operation? Why won't FERC shut down XNG's PA-to-NY "Pipe to Pipe" operation? Over the past few months, I've been asking attorneys at the Enforcement Division of FERC to make an enforcement action against XNG, Xpress Natural Gas' Bulk, Wholesale, Pipe-to-Pipe CNG "Virtual Pipeline" operation between Forest Lake, Susquehanna County, PA, and Manheim, Herkimer County, NY, which from what I see, is illegal a DOZEN different ways. We at the Stop the #BombTrucks blog feel that wholesale, bulk interstate commerce in natural gas by #VirtualPipelines is CERTAINLY jurisdiction of Federal Energy Regulatory Comission by a plain reading of the Natural Gas Act. It may seem strange to look to FERC for help! Many of us feel FERC is one of the most corrupt government agencies. However, FERC jurisdiction would require a multi-year Environmental Impact Statement, and HALT XNG: Xpress Natural Gas's illegal "Pipe to Pipe" operation in the meantime. So why does FERC look they other way? So far, they have completely ignored the issue. There are clues in docket# CP14-132, a Petition for Declaratory Ruling by Gulf Oil Limited Partnership to build a small LNG facility in Northeast PA and deliver LNG by truck to customers in New England. (Notice the similarity to XNG's operation, only it's LNG, not CNG). These clues seem to indicate that XNG's P2P *would* be jurisdictional. 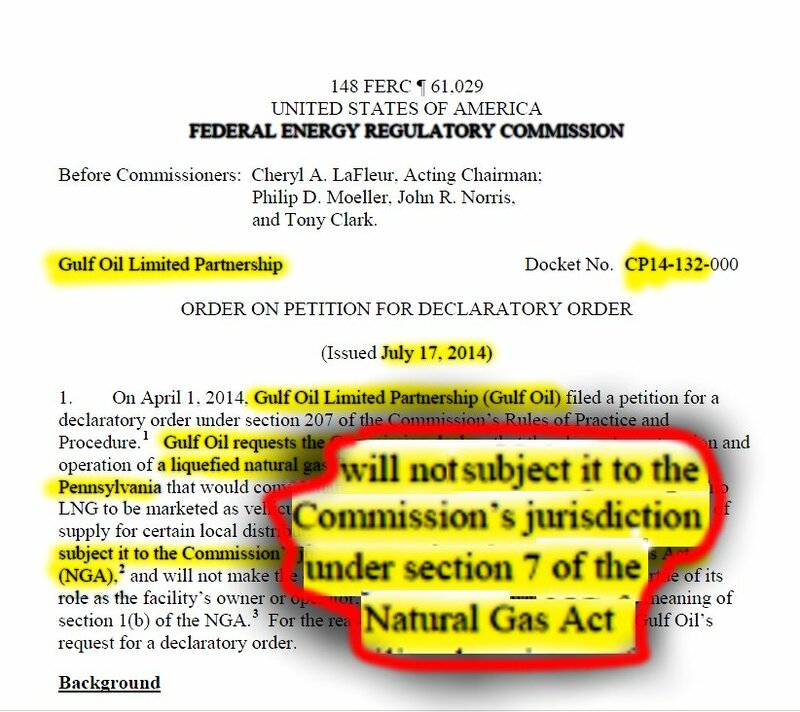 1: Ask FERC, "This is not jurisdictional activity, right?" 2: Write a check for $25,000. 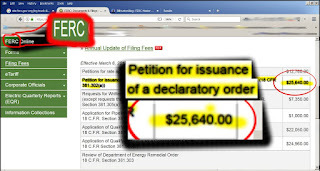 3: After FERC the check clears, FERC declares, "Yes, we agree. This is not jurisdictional activity." Now here's the really strange thing. I submitted a FOIL request to FERC, which is a really elaborate process! It took weeks for them even to accept it. And I had to argue for it. I asked FERC to show me documents where our friends at XNG had asked FERC for a declaratory ruling on their brand new Pipe-to-Pipe CNG operation. Their answer: "No such records exist". Huh? You mean XNG never asked the question? They just ran off and did it? 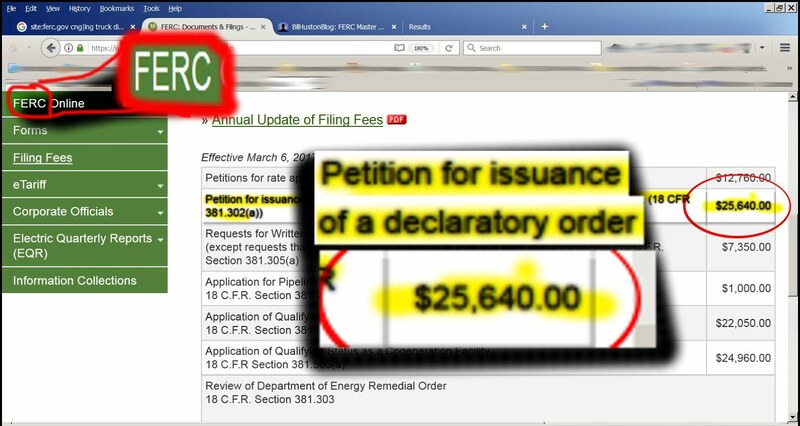 But why won't FERC issue an enforcement action, when XNG has failed to write a check for $25,000 like Gulf Oil did? I need your support to continue this work! PS: My friend Ray Kemble REALLY needs your help.